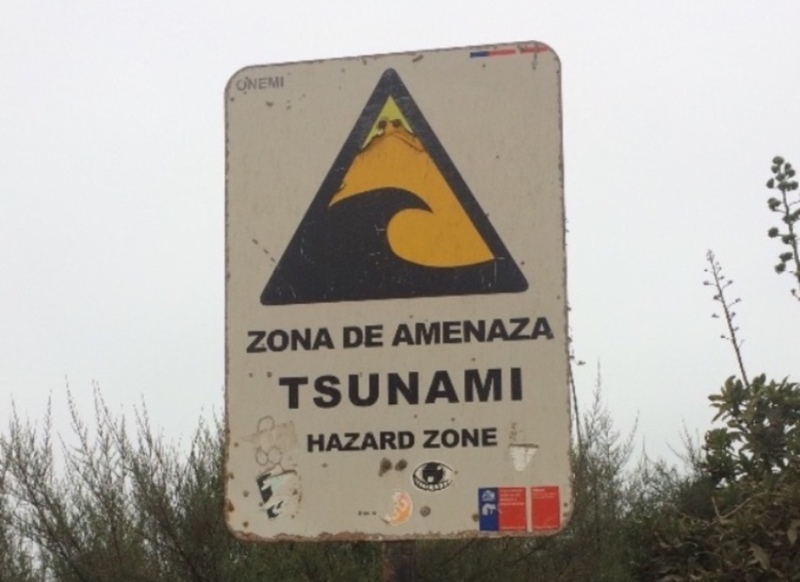 Some hazards we never really had to think about in the U.S. and Mexico. 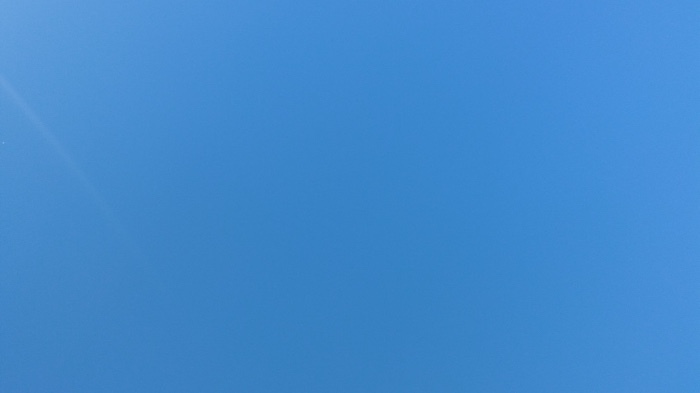 Sometimes the sky is that blue. Thank you so much for your prayers! We need them! A lot has been going on. 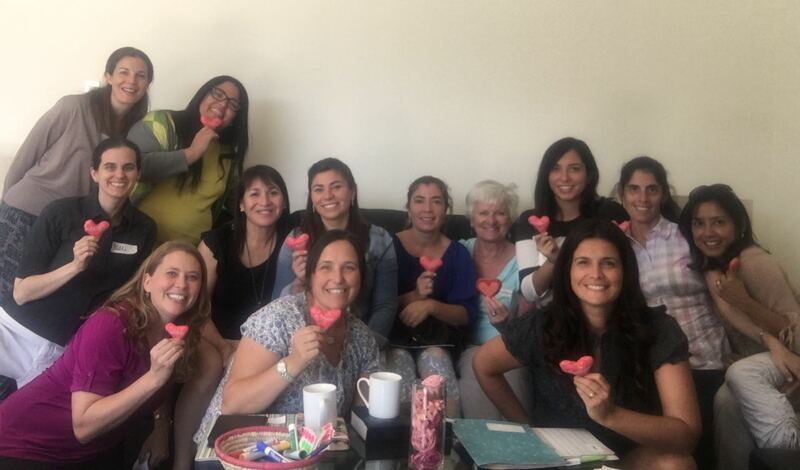 We’ve been adjusting to Chile, learning so much, serving our missionaries in Chile and throughout South America, and also engaging in local ministry. We don’t do it all at once (most of the time), and we are still in the process of learning a new culture and learning what our roles in the culture and in ministry are. The big thing from the last few days would be the earthquake. Actually, earthquakes. There have been more than we’ve been able to keep up with over the last few days, but the big one was Monday afternoon. We are all safe, and our apartment building was up to the challenge of a 6.9 magnitude quake, so we are thankful. And it’s also scary and enlightening and sobering and more. Click here if you’d like more details of our experience with the earth moving under our feet! Regionally, this has been a time of South American chaos (see the sidebar). I’m so grateful for our colleagues – men and women who are showing the love of Christ and serving faithfully in these countries. A few weeks ago I was able to be with several of them in Cusco, Perú. God is blessing so many people through a new church plant, an active campus ministry, a medical clinic, and a foster home. Please pray for these servants! In a few more weeks I should be in Atlanta where we’ll be exploring with a couple to see whether or not the Lord is calling them to open a new work in Buenos Aires, Argentina. Please pray for this time (May 23-24)! We currently have missionaries in six South American countries, and we believe that the Lord would have us minister in more. Argentina (along with Venezuela and Paraguay) is one of the key places we want to enter into with the gospel. Please pray for the Lord’s clear guidance. Locally, we’ve been getting to know more church leaders. I’ve been graciously received by a group of gospel-centered, Reformed pastors in a group called “Evangelio 360” (Gospel 360 – with the idea being that the gospel should filter through everything around us – our 360 degree panoramic view of the world should all go through gospel lenses, and we should be seeking the impact of the gospel in all that we see). We are praying together and collaborating in church planting projects and in leadership development. Please pray for this group! The Lord is also opening the doors for us to be able to minister to leaders in several different denominations. Please pray for us as we have to choose wisely where and how to engage. There is so much opportunity. And we must be good stewards of the time and resources that we’ve been given. A gathering of pastors and elders from the Iglesia Presbiteriana en América on a chilly morning. Chile is a carnivorous culture! People love to eat meat, and when they have you over, they give you meat, meat, and more meat. 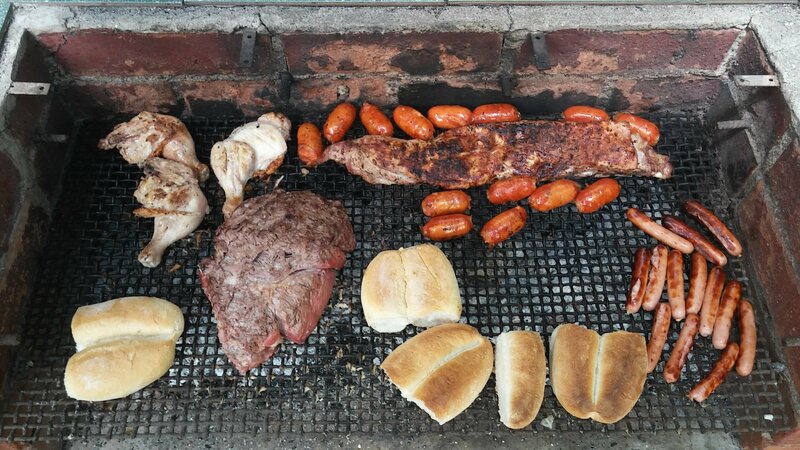 The tradition is to have an “asado” (grill out, cookout or barbecue, depending on what part of the country you’re from). We keep getting funny looks because in Mexico this was a carne asadA, not an asadO, but we can’t keep from calling it asada! But asado or asada, the meat is fabulous! They do beef, chicken, pork ribs, and various kinds of sausages all on one huge grill. Fortunately, we’re not vegans! We love this part of Chilean culture! Thank you so much for partnering with us! You are such a blessing to us from the Lord. We are in Chile, serving with Mission to the World in our desire to see the kingdom of Jesus Christ advance throughout the world. We serve in the hope that the love of Jesus will bring Chile and all of South America to life as he carries out his work of redemption through his church. Our privilege is to serve in his church and to serve our MTW colleagues throughout South America. VENEZUELA – Conditions continue to deteriorate. The Supreme Court dissolved the Congress in March, then reinstated it due to international outcry. Since then, there have been protests (with violent suppression). In many communities, there isn’t enough food. Many, many are suffering. Pray that the Lord would open doors for us to do effective ministry there. In February, I tried to get a temporary visa to be able to go on a vision trip there along with some colleagues, but we’ve been told that as US citizens we have to go through that process in the US, not at the Venezuelan Consulate here. Given the current upheaval, it looks like it will be a while before we’ll be able to do that. PERÚ – Heavy rains that have led to devastating mudslides. Many have lost homes, belongings, and even their lives. A 30 meter section of the wall around a ministry center we have in Huaraz collapsed. If you’d like to donate for its repair, click here. We need approximately $4,000 for this project. COLOMBIA – Heavy rains have also caused mudslides that have killed many. ECUADOR – In addition to mudslides, there has also been a contentious presidential election. The Venezuelan-backed leftist candidate just won the presidency (under what many allege were questionable circumstances). Many fear that this will lead to the same conflicts we are seeing in Venezuela. Please pray for our region and for all of our missionaries! “When I lost my sight, I thought I had lost all my independence, and I also lost hope. But then I came here, and I learned that I can do so much on my own. Now I’m able to go out to the store and even ride the bus! Sure, there are things I need others to do for me, but this place has helped me tremendously.” That was the testimony of a woman (we’ll call her “Laura” for the purposes of this letter) who has been one of the beneficiaries of a local ministry our team supports. This ministry is CEMIPRE, which serves the physically disabled in our community – with a special emphasis on the visually impaired. There are so many things that the ministry is doing to show Christ’s love to people, to show them that they have dignity as men and women made in the image of God, and to equip them to be not only as independent as possible but also to be contributors in life. A few weeks ago we were able to attend the kickoff event for the ministry year (in the southern hemisphere it’s fall, and most schools, ministries, and the like run from fall until summer). 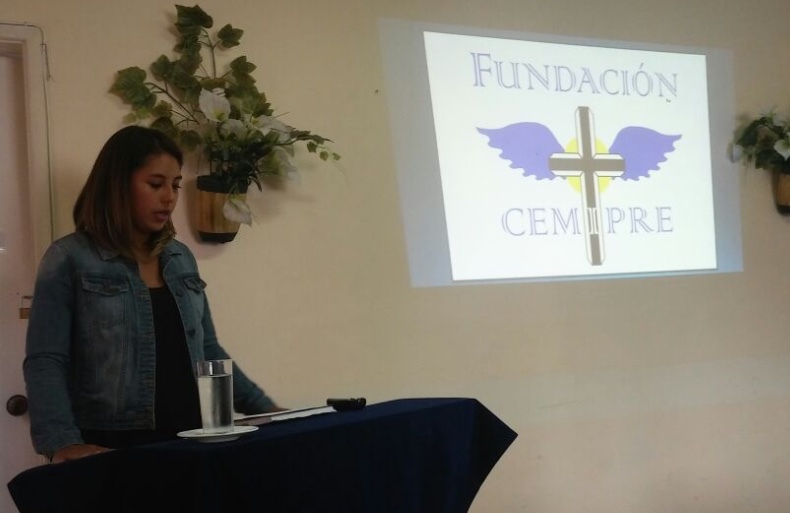 It was at this event that we heard “Laura’s” testimony of CEMIPRE’s impact in her life. We are thankful for it and for the ministry of our colleague John Rug who founded the ministry. Pray that in the midst of everything that we would have our eyes fixed on our savior and that we would put him first before all other things. Pray for the education of our children. Joseph appears to be settled on studying computer science at the University of Alabama in Huntsville. Mary Beth is doing well at her Chilean school, but is considering transitioning back to the USA in July so that she can study her senior year of high school within the American system. Johnny is doing well in his school and is trying out for the basketball team over the next few weeks. Pray for Amy and her opportunities to come alongside and minister to church planters’ wives through the ministry of Parakaleo. Pray for me as I have several trips coming up. The USA, Colombia, and Perú are in the mix. We are in the market for a vehicle (we’ve been in a rental situation up until now). Please pray for us to find something in good condition that will suit our needs. Used cars here have a terrible reputation as preventative maintenance is not a normal practice and dishonesty is simply expected with the sale of a vehicle. Pray for the ministry of CEMIPRE as they continue to love and equip the visually impaired. Next Next post: Having a good winter?